Umami is referred to as the fifth taste – after sweet, salty, bitter, and sour – and is a sense of savoriness. When cutting back on the consumption of meat, a common recommendation is to make sure that your meals still have umami so you continue to feel satisfied. A great way to achieve this is by using mushrooms. This mushroom pasta sauce has a creamy mouthfeel, a buttery taste, and yes, umami. If you’re not following a vegan diet feel free to substitute real butter for identical (if not tastier) results. Melt Earth Balance in a large pan over high heat. Add mushrooms and 1/4 tsp salt to pan and cook for 10 minutes, stirring regularly. 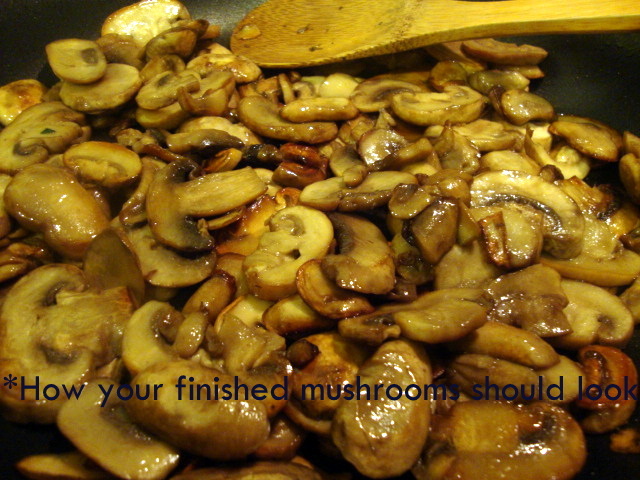 Drain any excess water from the mushrooms and add 1 Tbsp of evoo and the remaining 1/4 tsp of salt to the pan. Cook an additional 10 minutes butter the mushrooms are beginning to brown*. Remove from heat and allow mushrooms to cool 2 – 3 minutes. Pour mushrooms into the bowl of your food processor. 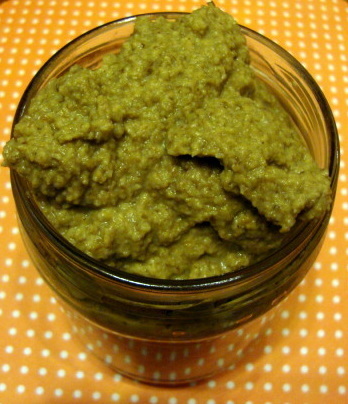 Process 3 – 4 minutes, until smooth, streaming in vegetable broth and remaining 3 Tbsp of evoo. Keep sauce in a sealed jar in the fridge for up to 5 days.